Learning disability is a common problem encountered by about 5-10% of school children. It could be divided into general or specific learning disabilities. Other terms used for learning disabilities include intellectual disabilities, mental retardation (in USA) and learning difficulties (in UK). It is twice more common in boys than girls. Sensory (visual or hearing) impairments could also contribute to learning disabilities. However, the definitive cause could not be found in the large majority of children with learning disabilities. In contrast, specific learning disabilities (another term is dyslexia) occur in individuals who have unexpected difficulty in reading despite having all the necessary pre-requisite for learning such as intelligence, motivation and schooling considered necessary for accurate and fluent reading1. 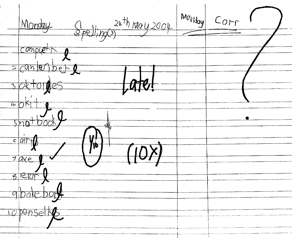 Often they also have problems in other areas such as writing, spelling and arithmetic. From a study in 2005 by Special Education Department, Ministry of Education of Malaysia, the prevalence of standard one student with specific learning disabilities (dyslexia) was 4.25%. Some may also have problems with their vision or hearing. Difficulties often already noted in kindergarten such as having difficulties learning the alphabets, numbers and colours. Not paying attention in class or overactive. May have unusual facial features, abnormal head size or fits. Early childhood development is often normal. 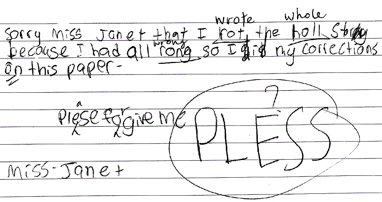 May have history of speech delay, difficulties with rhyming and word retrieval. Some may also have poor attention or motor clumsiness. May have poor short term memory. Some may eventually able to read accurately but still not fluent. Understand better by listening than reading. However, other areas of higher cognitive functions such as reasoning, vocabulary and abstract thinking are on par with their peers. 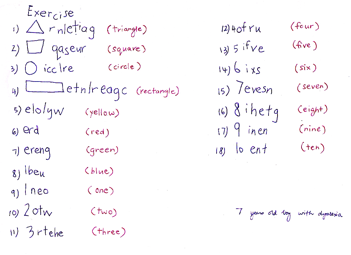 Some may excel in non-language based tasks such as drawing, sports or drama. Writing full of spelling mistakes but not lacking in content! Teacher’s comments are also not helpful! No specific medical treatment other than those with specific medical disorders (such as epilepsy, hypothyroidism, ADHD). However, all of them need appropriate educational remediation and support. Nil for most of the cases. However, early recognition and remediation are important to prevent under achievement in school (in accordance with the child’s intellectual capability), social and emotional problems. If you suspect your child has problems with learning, get him or her assessed early. It is important to exclude treatable conditions. Enroll your child to appropriate early intervention programme if he or she has specific medical conditions such as Down syndrome, autism or cerebral palsy. Often, children with learning disabilities learn better in one-to-one or small group situation. Aim high but be realistic about your child’s academic potential. Do not forget about their strengths and love them as much as with other children. Many of them may need continuous learning support and this is best provided in the special education settings. Some may cope reasonably well in the mainstream education with inclusive or remedial programmes. Close collaboration and communication with school and the class teachers are important. Early assessment and support is crucial. Teaching that use explicit phonological based techniques had been found to be effective when started early. In some children, by focusing on just one or two languages could be helpful to reduce stress and frustration. Actively look for their strengths and promote them. Some may need a reader during examination.